The Ross Bandstand is located centrally within West Princes Street Gardens, and is framed by spectacular views of Edinburgh Castle. Records of live music performances on the site date back to 1853, with the first permanent structure, designed by architects Kinnear and Peddie, erected in 1877. This was replaced by the current structure – an open air theatre – built in 1935 and designed by city architect E J Macrae. The original building was gifted to the city by William Henry Ross, former chairman of the Distillers Company. The 1935 building has been upgraded and extended a number of times throughout the twentieth century. The project was revived in March 2015, when Edinburgh hotelier Norman Springford came forward as project sponsor. The Ross Development Trust was established in 2016 to manage the redevelopment of West Princes Street Gardens. 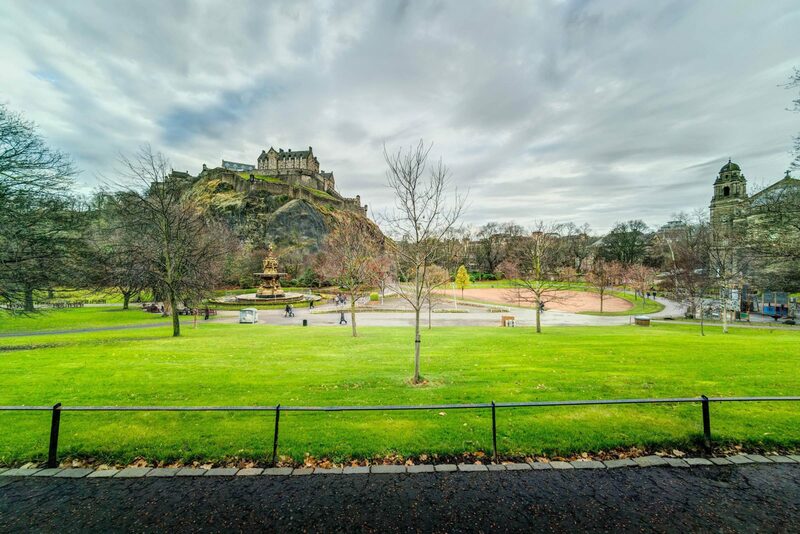 The Trust’s focus is on advancing the appreciation and promotion of the arts, culture and heritage within West Princes Street Gardens, and through this, complementing the rejuvenation of Edinburgh city centre. The Pavilion and Gardens project will be complemented by a series of parallel projects within the Gardens (outside of the competition scope) which include repair and refurbishment of the Ross Fountain; renovation of the Gardener’s Cottage; and a replacement road bridge. The Trust is working closely with the land owners, the City of Edinburgh Council, on this initiative. There are a number of other key project stakeholders, including those with a statutory role such as Historic Environment Scotland, the Cockburn Association and the Old and New Town Community Councils, and cultural and arts bodies such as Edinburgh World Heritage and the Edinburgh Festival. The Ross Development Trust will fundraise for the project, targeting a mixture of private sources and public grants. This competition was managed on behalf of the Trust by Malcolm Reading Consultants. The competition was run in accordance with EU procurement guidelines and the Public Contracts (Scotland) Regulations 2015. This competition was advertised in the Official Journal of the European Union (OJEU).